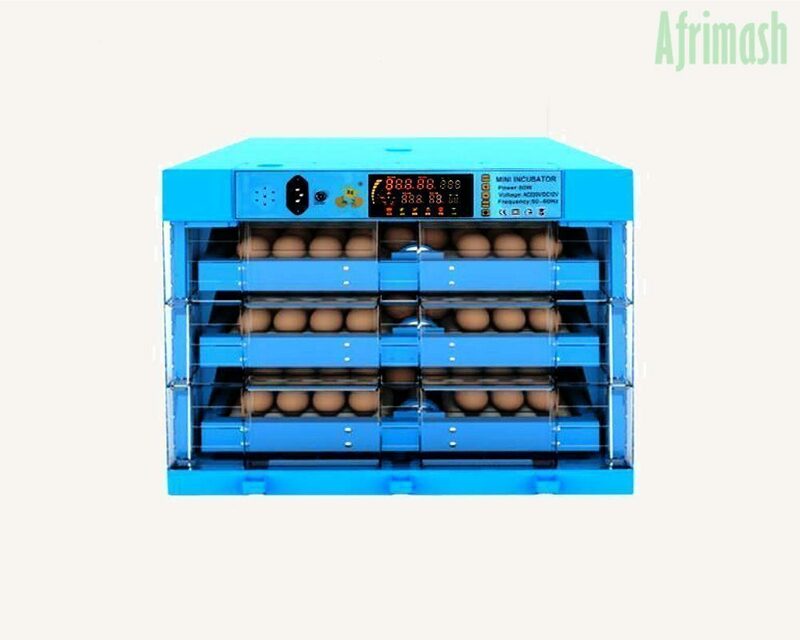 HomeShopAgricultural EquipmentPortable Incubator (120 and 180 Eggs Capacity) – Electric Powered/Temperature and Humidity Alarm/Automatic Egg-Turning Sensors. 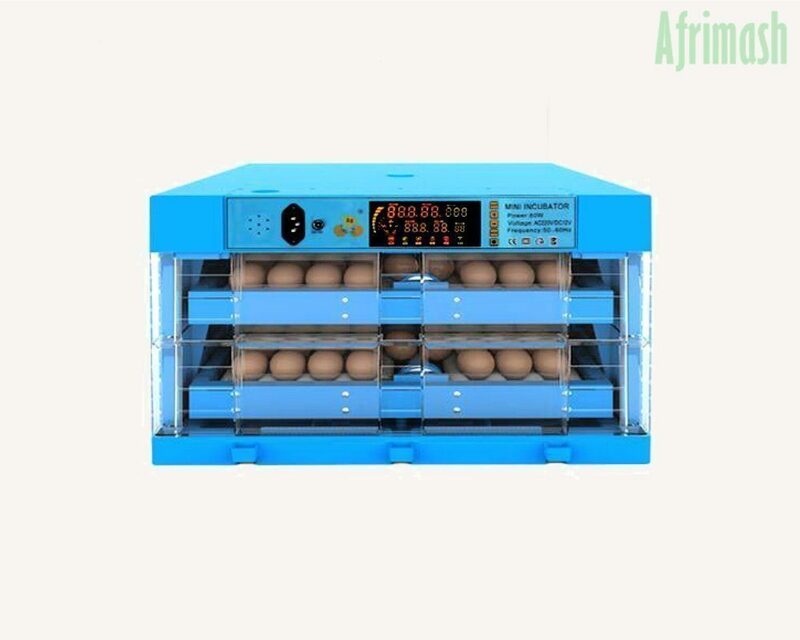 The 120 and 180 capacity egg incubators are recommended for small/medium egg-producing farmers. They enhance hatchery operations for various species of birds and can easily be adjusted to adequately incubate eggs of chickens, turkeys, quails, ducks, and geese. During the incubating process, this machine utilizes an automatic turning feature (12V,220V-240V. 50Hz) to turn the eggs at the appropriate time. The portable incubator features unique and user-friendly designs which ensure efficient egg setting and hatching operations. Egg incubators help simulate avian incubation by regulating factors such as temperature, humidity, and turning the eggs when necessary, which mimics the role of the hen in its natural state. Incubators also eliminate external threats that could possibly harm eggs. These provide perfect conditions to enable hatching. This incubator is recommended for ensuring good hatchability and quality chicks. Thus, it is suitable for small breeder hatcheries/farms with plans to commence hatching (can incubate 120/180 eggs at a time). Unique climate control to closely monitor egg temperatures and ensure timely hatching. Durable, sturdy and transparent design to guarantee safety and visibility. Adapted control panel with user-friendly designs for easy readability and monitoring. Utilizes multi-function and microcomputer-based technology for accuracy. Stable and reliable, time/labor saving device ideal for a small and medium-sized hatchery operation. High hatching rate (96%) with automatic humidity control (0.1% Rh). Built to give almost zero noise. Temperature sensor reading and the heating element can be calibrated to desired settings. Alarms for humidity and temperature parameters. Our egg incubator also comes with one year warranty and an elaborate instructional manual for ease of use. Select the incubator model; Click “Buy Now” select shipping location and Proceed to Checkout. Specification: Portable Incubator (120 and 180 Eggs Capacity) – Electric Powered/Temperature and Humidity Alarm/Automatic Egg-Turning Sensors. Videos: Portable Incubator (120 and 180 Eggs Capacity) – Electric Powered/Temperature and Humidity Alarm/Automatic Egg-Turning Sensors. Send Enquiry for Portable Incubator (120 and 180 Eggs Capacity) – Electric Powered/Temperature and Humidity Alarm/Automatic Egg-Turning Sensors.